Be Ryong will be holding its 11th annual Open House the weekend of September 23-24, 2016. We’ll have free trial lessons and a demonstration by the famous Be Ryong Demo Team! Come learn more about martial arts, learn about the school, and whether martial arts training is right for you! There will also be special pricing for new students who sign up during the Open House. If you’ve ever wondered about martial arts or wanted to give it a try, come to the Be Ryong Open House! Learn More about the Open House by Visiting our 2016 Open House page! Students and families! Master Yun has updated the schedule and it goes into effect as of Monday, August 8. You can download a PDF (Beryong-Schedule) of the new schedule or visit the Schedule to check the schedule every day. The schedule on the website is mobile-friendly so feel free to check the schedule from your phone. There is at least one class that every student can attend, often multiple classes. Classes for teens and adults tend to be a harder workout, so parents, please talk to the younger kids about how these classes are little bit different. Students should arrive 5-10 minutes ahead of time to stretch and be ready to start class on time. Students should come to class ready to learn and try their best. 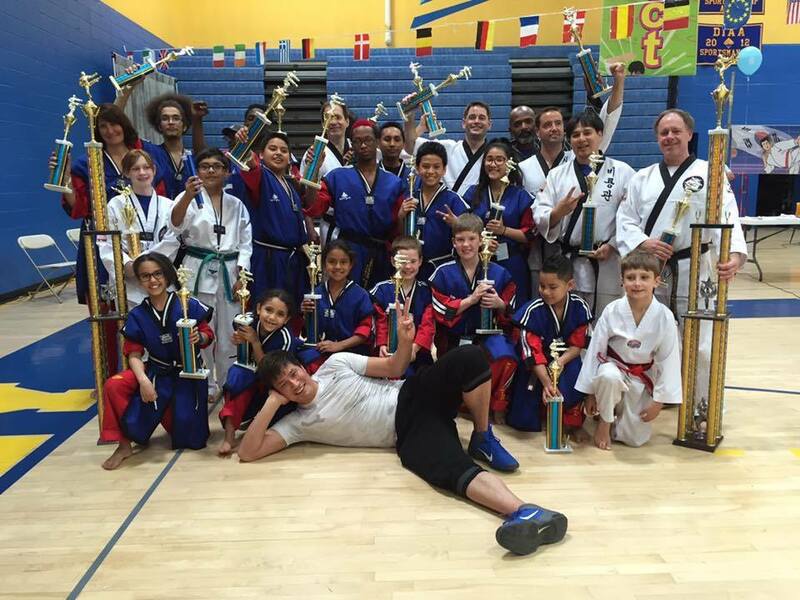 Congratulations to the Be Ryong TKD and HKD demo teams! The TKD team took 2nd place and the HKD team 3rd place during the Delaware Martial Arts Tournament that took place last Saturday, April 16 in Dover, DE. Be Ryong is always looking for students to join the demo teams. Think you have what it takes? You must be a student who attends class regularly, you must be willing to attend demo practice on Thursdays at 6pm, and you have to commit to attending additional practices, competitions and events throughout the year. The demo teams perform at schools and cultural fairs throughout the year. It’s a great way to expand your martial arts knowledge and work with some of the best talent at the studio! See Master Yun before or after class if you are interested in joining! Students, it’s that time again! Belt testing time! 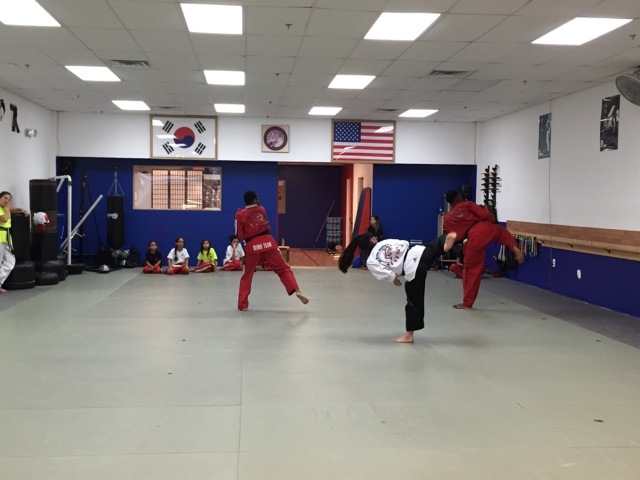 Black belts who wish to advance and HapKiDo students will test on Thursday, April 7. Taekwondo students will test on Friday, April 8. Taekwondo students need four stripes to test: red for kicking, blue for form, yellow for breaking, and white for discipline. You must submit the testing paperwork by the last class on Wednesday, April 6. Make-up tests will be on Friday, April 15. The belt ceremony will be on Saturday, April 9. Master Yung will hand out the new belts to all students who passed the tests the previous evenings. Please bring a dish to share with your Taekwondo family. For a detailed schedule, please refer to the school calendar. 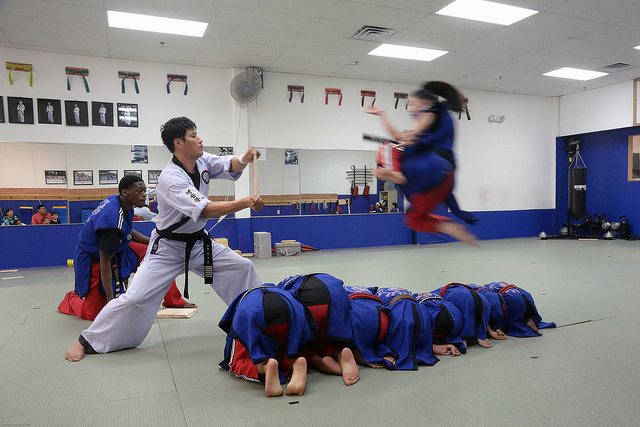 The studio will be closed on Saturday, March 5 because of the HapKiDo black belt test. Bow black Al will be testing for his first degree black belt. Please come on down and cheer for Al during his test. The test begins at 11am and will probably go for about 3 hours. During the test, Master Yun will test Al’s knowledge of his HapKiDo kicks, strikes and releases; his endurance and stamina as he does over 700 push-up and sit-UPS; his ability to break boards and a cement block; and his strength and technique during yusul (where Al will go up against at least 3 black belts in 1-2 minute bouts). If you’ve never watched a black belt test and you’re close to brown or bow black belt, it’s worth watching a black belt test to get a sense of the training needed to survive this punishing, but ultimately amazing and rewarding experience. Be Ryong will be closed on Monday, February 15 in honor of Presidents’ Day and Friday, February 19 because of the make-up belt test. The TKD make-up test is at 5pm and the HKD make-up test is at 7pm. If you are taking the make-up test, please remember to wear the full uniform and arrive 10 minutes before your start time. Good luck to everyone testing! Because of the snow and ice, Be Ryong is closed today. Master Yun asks everyone to be safe, stay warm, and keep practicing your kicks and forms. Congratulations to the TKD Candidates Who Passed the Black Belt Test! Congratulations to Christopher, Julia, Marien and Nick! They passed the Taekwondo black belt test held last month! It was a grueling 4-hour test but all the candidates passed! They endured 770 push-ups, 770 sit-ups, 11 forms, 12 kicking combinations, 3 rounds of sparring, at least 9 broken boards by feet and 4 broken boards by hand! These candidates will get their black belts during the June belt ceremony. In the meantime, they get to keep training. Master Yun says that when you get your first degree black belt, it’s just the start of your martial arts journey.